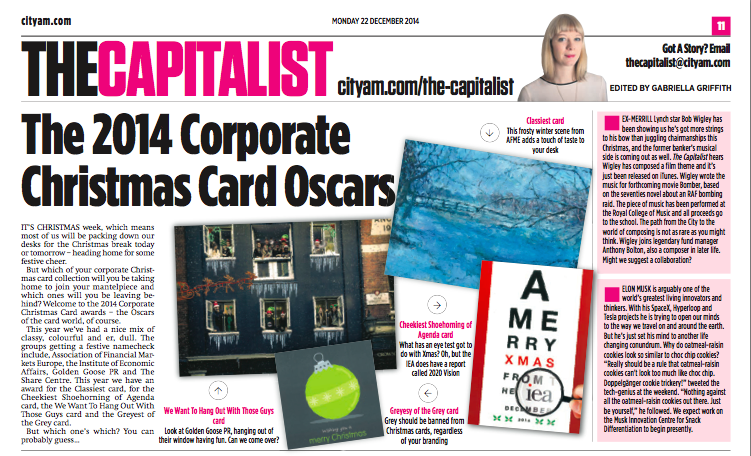 Golden Goose PR never do things by halves, but even we were delighted when we flicked through our copy of City AM this morning to see our annual Christmas card taking in an award at the Christmas Card Oscars. City AM awarded us with the title of ‘We Want To Hang Out With Those Guys card’. We love City AM so will definitely be inviting them over in 2015 for some Regal Rogue on ice. Check out the piece below.